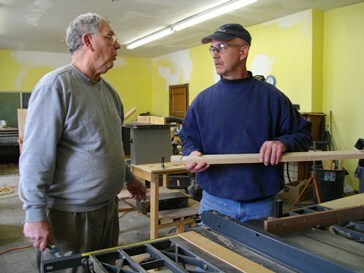 Building tables and bunk beds for families in need. Thank you for stopping at this page. 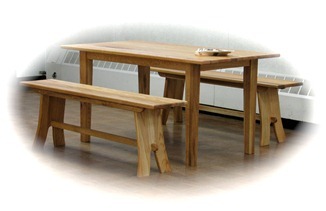 We are the "Upper Room " woodworkers and partners with the Western PA Table Project, a non-profit organization, "building tables and beds . . . rebuilding lives. We are a volunteer group that builds to help those in need and would love for you to join us. It matters not if you are young, old, male, or female you are encouraged to come, build, and be blessed. There is work for everyone. Come and make it happen. 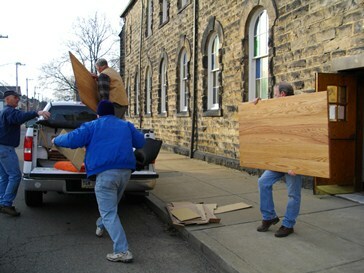 We have been blessed to provide furniture to such places as Louisiana, Mississippi, West Virginia, and Haiti. For more information, call the church office Tuesday through Friday, 8:30 – 11:30 a.m.